The living room is the heart of your home. It serves double duty, as your favorite place to relax and as the space where you entertain. At Structube, we aim to offer modern, functional pieces that will incorporate seamlessly into your life. The sofa that will fit the lifestyle of the urban condo dweller? Check. The perfect couch and loveseat combo for the home owner? Double check. The sectional where everyone can stretch out? You know it. The sofa-bed guests will actually want to sleep on? Huh uh. That one perfect coffee table that will tie everything together? Yup. They’re all here. We know your furniture has to look as good as you do. That’s why our contemporary designs are chosen with you in mind. 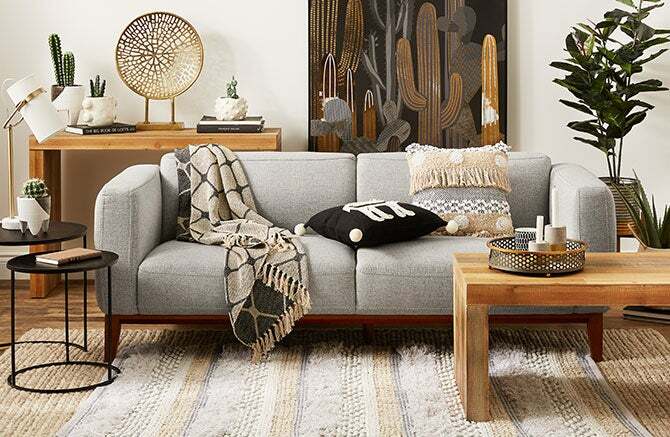 Get inspired by our décor shots or mix and match to create a space that is all you. Just don’t forget to share your inspired interiors on Facebook, Instagram, Google+ and Twitter with #MyStructubeStyle! Can we get a martini over here?